IT’S A MEDIA BLITZ! During our KICKSTARTER CAMPAIGN, we are releasing episodes WEEKLY to keep the momentum going for our crowdfunded documentary about the King of the Monsters! Please visit the kickstarter page, check out the rewards and back this passion project! 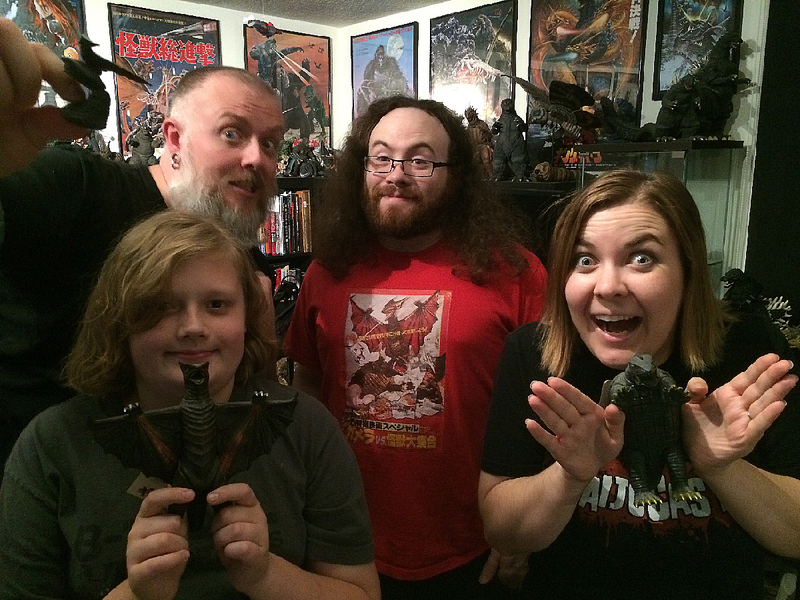 T’Igor, Kyle, Bryan and Rachel discuss the classic Gamera outing, Gamera vs Gyoas! This month, the Kaijucast dives into the third film in the Gamera franchise, Gamera vs. Gyaos (1967). This was a very well received movie and I’m thrilled that we got so much homework in! Bryan and Rachel came over to save the co-host day, but we also had T’Igor join us for most the episode too. Hopefully you will also enjoy it. We finally have a lot of news to cover in this episode – some of it because of San Diego Comic Con happening this same weekend. So make sure to click the links below for some truly awesome news. Godzilla 2 Announcement at SDCC: Rodan, Mothra and King Ghidorah! I am super happy that next month’s movie is Kaiju Daisenso! Or maybe you are familiar with the international title, Invasion of Astro Monster! Ok, perhaps the American title, Godzilla vs. Monster Zero! That’s right, one of my favorite movies in the franchise…probably my absolute favorite right now, is finally up to bat. Just make sure you have your homework turned in before August 24th to have your thoughts, questions and reviews included in the next discussion episode!